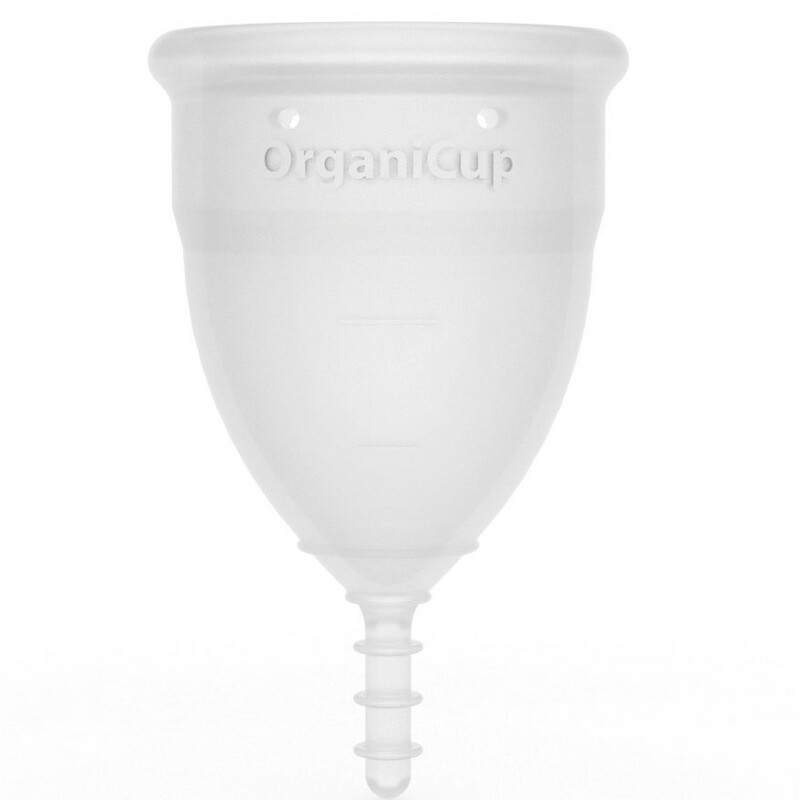 Wave goodbye to leaky tampons and sweaty pads with an OrganiCup menstrual cup. 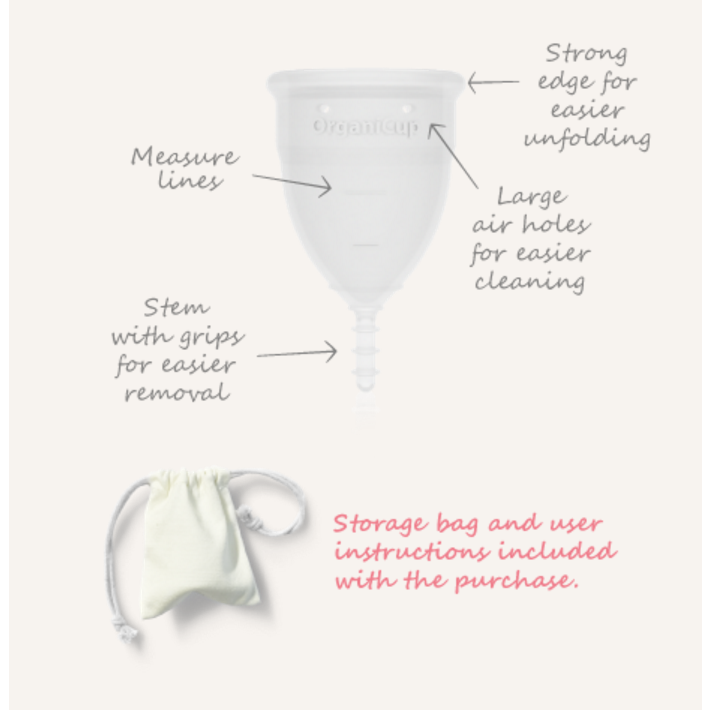 Menstrual cups are inserted like a tampon to use during your period but that’s where the similarity ends. 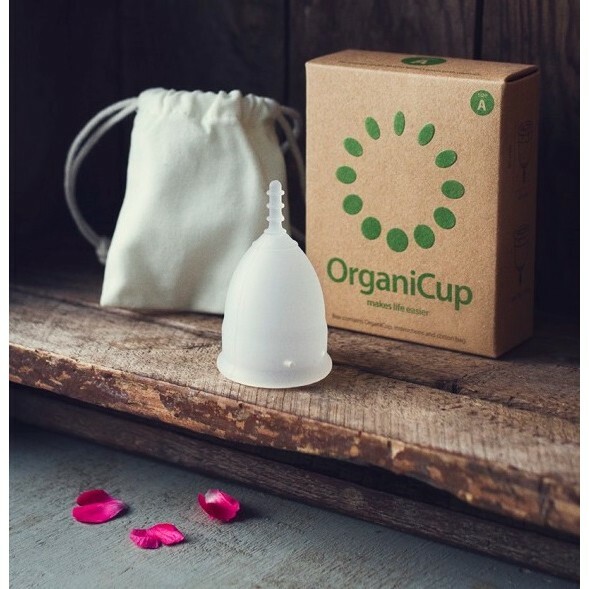 Made from medical grade silicone, the OrganiCup is a natural product that's completely free from the unwanted chemicals that go into disposable sanitary products. 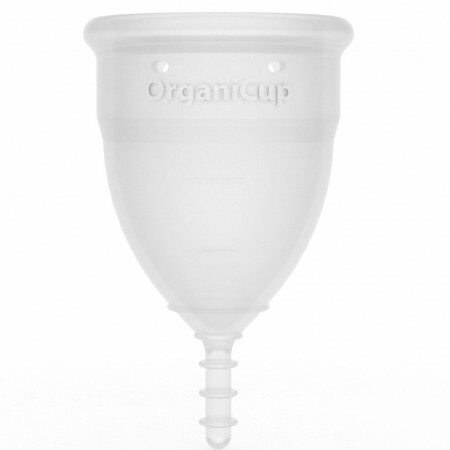 With no bumps or seams, the OrganiCup is comfortable to insert, wear and remove. You can sleep, do sports and excerise and even swim with an OrganiCup. With an OrganiCup, you can forget about your period and get on with your life in confidence. 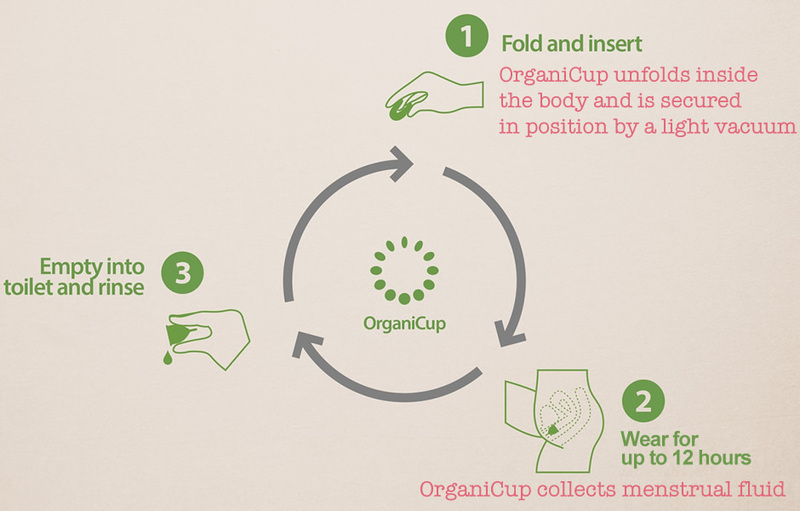 It's easy to use the OrganiCup, simply fold it in half and insert it and wear for up to 12 hours. 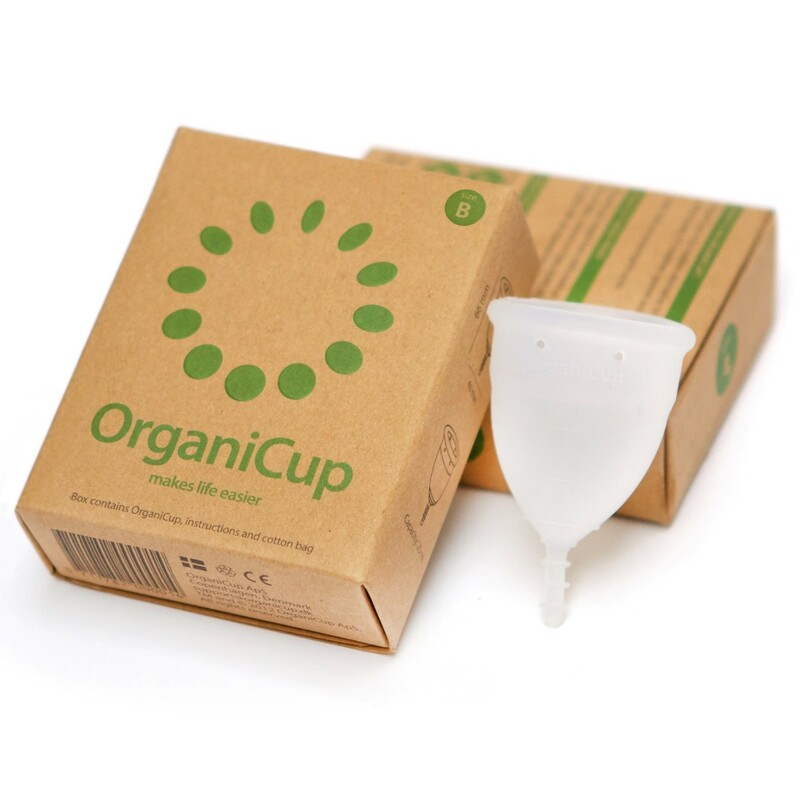 To remove your OrganiCup, insert a finger and press against the cup to break the seal and remove using the ridged stem. Empty the contents down the loo and wipe with a tissue when out and about, or rinse out in the sink when at home. It can be sterilised each month in boiling water or sterilising solution.